This tour is for those interested in pristine beaches and historical sites. Discover the Algarve with its sunny coastline, historic royal towns and sleepy villages, majestic harbors, the rugged Atlantic coast lines and Portugal's famous Estoril Coast. Our representative will meet you on arrival at Faro airport. Faro airport. Car-rental includes unlimited mileage and basic excess insurance. Drive to Hotel Jupiter in Praia da Rocha ( 1 hour, route has tolls). Fortaleza de Santa Catarina, the remains of a medieval fort with picturesque ocean & sunset views. Visit Ria Formosa lagoon, a migratory corridor for 30,000 birds, thelast nesting grounds in Europe for some species . Praia dos Três Castelos, a beach for a refreshing swim in the ocean. View the rugged Farol da Ponta da Piedade coastlines, wide beaches & sandstone cliffs. Spend the day with exploring the area and the beautiful coast of the Algarve. Overnight at the Hotel Jupiter in Praia da Rocha. Visit Silves Castle, where it's believed that the first fortifications were built upon a Lusitanian Castro site, by the Romans or Visigoths. Explore Sagres, the center of oceanic discoveries in the 15th century. Swim at the beautiful beaches of the Algarve. 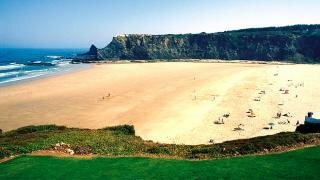 After breakfast drive Northwest towards Aljezur and enjoy the natural Vicentina coastline and villages. Overnight Hotel Santiago / Santiago do Cacém. Visit Vila Nova de Milfontes. 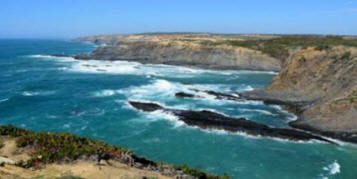 Inspect the Old Porto Covo, Zambujeira do Mar and Odemira before you reach Sines. Drive to Beja and overnight Hotel Mar D`Ar Muralhas / Évora. Enjoy the tranquil old quarter with a serene convent and fanciful castle. 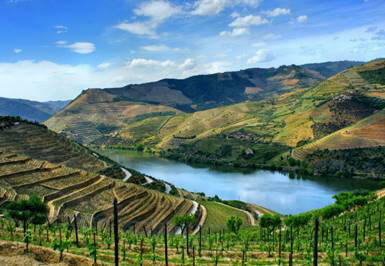 Drive to Évora and visit the Museum town. Spend all day visiting the Castles and Palaces. Overnight Hotel Mar D`Ar Muralhas / Évora. 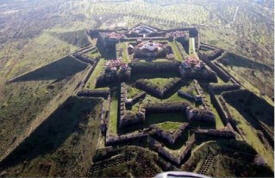 Explore the Ducal Royal palace of Vila Vicosa. The residence of the rulers of the Kingdom of Portugal from 1640 until the 1910 Revolution. Visit Estremoz and stroll around the marble buildings, squares and fountains. On the way to Estoril, make a stop at the waterfront neighborhood of Belém. Overnight Hotel Vila Galé Estoril (1 Euro per night city tax payable to hotel). Visit Estoril near Tamariz beach with excellent views and an ideal hub to restaurants and sightseeing nearby. Drive to the nearby sea resort of Estoril. 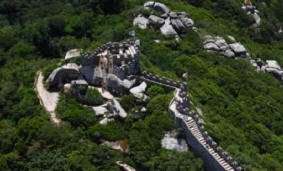 Visit the Moorish castle, Vila Palace and Pena Palace with medieval turrets, gates and towers. 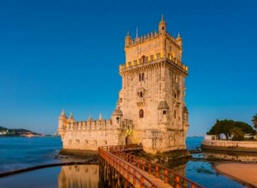 After breakfast, drive to Lisbon airport to drop of your car and check in for your flight home. Meet and greet at Faro airport, road map and general tips. 7 nights accommodation with daily breakfast. Car-rental including unlimited mileage and basic insurance excess (CDW). An Easter and a summer season supplement may apply!